Arthritis is one of the most painful chronic conditions that causes disability and deformity among millions of Americans. Joint pain, swelling, and reduction in functionality disturbs the patient’s ability to perform daily activities. Because the symptoms can significantly interfere with his routines, they can cause him to feel isolated, frustrated, and can even have a low self-esteem. Arthritis comes from the Greek word artho which means “joint” and itis which translates to “inflammation.” It is classified as a rheumatic disease and is characterized by swelling, pain, and stiffness in one or more joints which tend to worsen with age. Fatigue, fever, and decreased range of motion may also accompany these common symptoms. The symptoms range from mild, moderate, to severe. When the condition becomes severe, the pain is chronic and the person affected becomes unable to perform daily activities such as walking or climbing the stairs. It may also cause deformation of the fingers or joints affected. Other forms of arthritis are known to affect not just the joints but also vital organs such as the lungs, heart, kidneys, skin, and eyes. There are over 100 types of arthritis, the most common of which are osteoarthritis (also called degenerative joint disease), rheumatoid arthritis, psoriatic arthritis, gout, systemic lupus erythematosus, and other autoimmune diseases that affect the joints. Treatment approaches for arthritis vary according to the type diagnosed. There can be a combination of conventional and alternative remedies in order to help improve the quality of the patient’s life. It is important that the correct diagnosis is immediately arrived at so that the appropriate medications and therapies can be prescribed. Arthritis is the leading cause of disability in the country. It is estimated that the condition affects approximately over 52 million adults in the U.S. Statistics show that more women are affected compared to men across all age groups. According to the Centers for Disease Control and Prevention (CDC), about 60% of those who have been diagnosed with arthritis are women. Among children or those under the age of 18, it is estimated that more than 290,000 are affected by some form of arthritis. The cartilage is the firm, flexible, and connective tissue in the joints that absorbs the pressure, stress, and shock imposed on the joints by movement. A reduction in the amount of the cartilage can trigger some form of arthritis. For instance, normal wear and tear of the cartilage caused by repeated stressful physical activities performed over time such as running and walking can cause osteoarthritis (OA) in the knees. As previously mentioned, there are more than 100 types of arthritic conditions that have been identified. This is the most common type of arthritis. OA usually affects those over the age of 50. This occurs as a result of the degeneration of the connective tissue in the joints which naturally happens as one ages. Repeated exposure to strenuous physical activities like jogging or marathon running can also speed up the onset of the disease. Of course, a previous injury such as one that affects the anterior cruciate ligament is also a risk factor in the development of osteoarthritis. Osteoarthritis can affect almost any joint in the body but is most common in the fingers, thumb, large toe, hips, knees, neck, and spine. The symptoms of OA include joint pain, swelling, soreness, and bony knots in the fingers. Painkillers and supplements such as glucosamine and chondroitin are usually prescribed to relieve and manage pain. Rheumatoid arthritis is very different from joint degenerative disease or osteoarthritis. RA is classified as an autoimmune disorder because the body’s own immune system attacks the body’s connective tissues. When this happens, chronic inflammation in the joints occur. RA usually affects the joints in the fingers, wrists, elbows, knees, feet, and ankles. Unlike osteoarthritis, the pain is symmetrical because it appears on both sides of the body. The condition can lead to severe deformity and bone erosion if medical treatment is not sought immediately. Another characteristic that distinguishes rheumatoid arthritis from osteoarthritis is that the former usually occurs in people of a much younger age group – that of the aged 20 and above. RA manifests other symptoms in addition to joint pain or swelling. Some other signs of the condition include skin rash, fever, pain, disability, chest pain, dry eyes and mouth, eye discharges, numbness or tingling in the hands and feet, fatigue, loss of appetite, weight loss, and sleep difficulties. The symptoms can start with a minor discomfort or pain that initially come and go. However, they eventually become more severe in a matter of weeks or months. 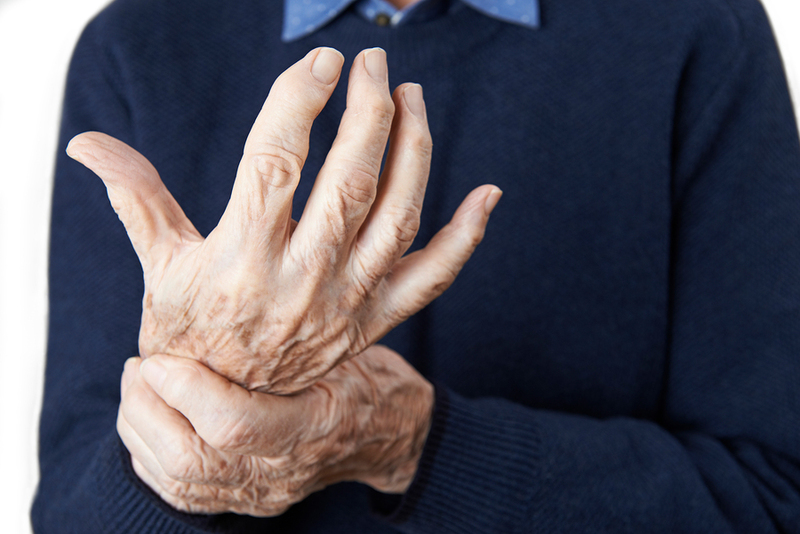 Because RA places a patient at an increased risk for a number of complications including deformity and death, early diagnosis, aggressive treatment, and management are crucial factors in improving the patient’s condition. Gout is estimated to affect about 1 to 2 percent of the western population. It has been observed to have become more common in the last few decades due to improper nutrition and unhealthy lifestyle practices. Gouty arthritis is associated with an unhealthy diet because it is caused by high levels of uric acid. Those who consume large amounts of food that are high in purines such as red meats, seafood, alcoholic beverages, red wine, and fructose-sweetened drinks are the ones that are most likely to develop this type of arthritis. Obesity and genetics are also risk factors. When the uric acid levels in the blood are elevated, there occurs the formation of uric acid crystals that are deposited in the joints, tendons, and surrounding tissues. This triggers symptoms such inflammation, stiffness, joint pain, and occasional fever. Over time, the pain can become chronic and even crippling. When the uric acid levels cannot be controlled, other organs such as the kidneys and the skin may become affected. The treatment for gout usually involves nonsteroidal anti-inflammatory drugs (NSAIDs), colchicine, steroids, and medications that are designed to decrease the production of uric acid (eg. Allopurinol, febuxostat). Diet modifications and lifestyle changes are also recommended for the effective management and prevention of attacks. These prescription drugs are intended to reduce the severity of the pain but do not affect the inflammation. Some of these include acetaminophen, tramadol, and drugs containing oxycodone or hydrocodone. NSAIDS help to reduce both the pain and the inflammation. Some of those often prescribed for arthritic conditions include ibuprofen and naproxen sodium. Some NSAIDS are topical creams or gels such as menthol or capsaicin creams which are intended to block the pain signals that are sent to the joints. These topical solutions deliver immediate pain relief. These type of drugs are prescribed for the treatment of rheumatoid arthritis, an autoimmune disease. The function of DMARDs is to slow down the attack on the joints and delay the progression of rheumatoid arthritis. Examples of this class of drugs include methotrexate and hydroxychloroquine. These type of drugs are also prescribed for the treatment of rheumatoid arthritis and are used in conjunction with DMARDs. These are intended to target a number of the body’s protein molecules which are associated with immune response. An example is etanercept. These drugs are designed to reduce inflammation. However, they produce the side effect of immune system suppression. Thus, they are only prescribed for certain types of arthritis. They may be taken orally be injected directly into the affected joint. When conservative methods like medications or alternative therapies don’t work, the doctor may recommend surgery in order to either repair the joint affected or to replace the joint with an artificial one. When joint repair is performed, the procedures usually involve joint fusion or joint realignment to improve the function and range of motion. Joint replacements, however, typically involve hip replacement or knee replacement. Physical therapy that includes the performance of regular exercises that are designed to strengthen the muscles around the affected joint is an important element of any arthritis treatment. Therapy is prescribed to increase functionality and movement. Some patients claim that alternative treatment can greatly relieve their symptoms. Some of the popular alternatives include acupuncture, massage, yoga, tai chi, meditation, relaxation techniques, and home remedies. Observing the appropriate diet and nutrition is also crucial for the management of arthritis especially gouty arthritis. Adopting a diet that excludes foods which trigger inflammation particularly animal-derived foods, saturated fats, processed and junk foods, carbohydrates with a high glycemic index or added sugars, and alcoholic beverages can help a patient significantly. It is highly recommended that arthritis sufferers shift to the Mediterranean diet. This diet is known for its anti-inflammatory, anti-aging, and disease-fighting effects. It constitutes of whole grains, fish, fruits, vegetables, beans, nuts, seeds, and olive oils. Apart from these remedies, arthritis patients can also benefit from weight loss and management; regular exercise such as brisk walking, swimming, and strength training; wearing comfortable shoes that lessen pressure on the feet or toes; and experimenting with various home remedies. 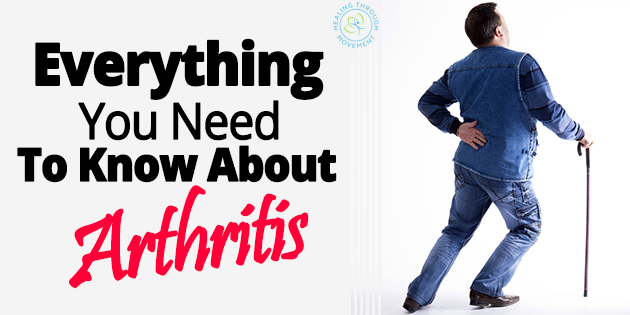 While there is yet no cure for arthritis, the condition is manageable. The key is to consult a doctor as soon as some of the early signs of arthritis are observed so that an accurate diagnosis can be arrived at. Working with the physician closely and following the treatment plan can significantly help to improve the patient’s condition, recover joint functionality, enhance overall health, and enjoy a better quality of life. If you want to overcome the aches and pains that have been keeping you from enjoying life, then check out the Joint Complex 4000.